For other uses, see Coconut (disambiguation). The coconut tree (Cocos nucifera) is a member of the family Arecaceae (palm family) and the only species of the genus Cocos. The term coconut can refer to the entire coconut palm or the seed, or the fruit, which, botanically, is a drupe, not a nut. The spelling cocoanut is an archaic form of the word. 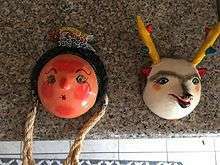 The term is derived from the 16th-century Portuguese and Spanish word coco meaning "head" or "skull", from the three indentations on the coconut shell that resemble facial features. Coconuts are known for their great versatility, as evidenced by many traditional uses, ranging from food to cosmetics. They form a regular part of the diets of many people in the tropics and subtropics. Coconuts are distinct from other fruits for their large quantity of "water", and when immature, they are known as tender-nuts or jelly-nuts and may be harvested for their potable coconut water. When mature, they still contain some water and can be used as seednuts or processed to give oil from the kernel, charcoal from the hard shell, and coir from the fibrous husk. The endosperm is initially in its nuclear phase suspended within the coconut water. As development continues, cellular layers of endosperm deposit along the walls of the coconut, becoming the edible coconut "flesh". When dried, the coconut flesh is called copra. The oil and milk derived from it are commonly used in cooking and frying, as well as in soaps and cosmetics. The husks and leaves can be used as material to make a variety of products for furnishing and decorating. The coconut also has cultural and religious significance in certain societies, particularly in India, where it is used in Hindu rituals. Botanically, the coconut fruit is a drupe, not a true nut. Like other fruits, it has three layers: the exocarp, mesocarp, and endocarp. The exocarp and mesocarp make up the "husk" of the coconut. Coconuts sold in the shops of nontropical countries often have had the exocarp (outermost layer) removed. The mesocarp is composed of a fiber, called coir, which has many traditional and commercial uses. The shell has three germination pores (micropyles) or "eyes" that are clearly visible on its outside surface once the husk is removed. The palm produces both the female and male flowers on the same inflorescence; thus, the palm is monoecious. Other sources use the term polygamomonoecious. The female flower is much larger than the male flower. Flowering occurs continuously. Coconut palms are believed to be largely cross-pollinated, although some dwarf varieties are self-pollinating. One of the earliest mentions of the coconut dates back to the "One Thousand and One Nights" story of Sinbad the Sailor; he is known to have bought and sold coconut during his fifth voyage. Thenga, its Malayalam and Tamil name, was used in the detailed description of coconut found in Itinerario by Ludovico di Varthema published in 1510 and also in the later Hortus Indicus Malabaricus. Even earlier, it was called nux indica, a name used by Marco Polo in 1280 while in Sumatra, taken from the Arabs who called it جوز هندي jawz hindī. Both names translate to "Indian nut". In the earliest description of the coconut palm known, given by Cosmos of Alexandria in his Topographia Christiana written about 545 AD, there is a reference to the argell tree and its drupe. Cocoanuts are the fruit of the palmtree. Just as we have bread, wine, oil, and milk, so those people get everything from that tree. They get wine in the following manner. They bore a hole into the heart of the said palm at the top called palmito [i.e., stalk], from which distils a liquor which resembles white must. That liquor is sweet but somewhat tart, and [is gathered] in canes [of bamboo] as thick as the leg and thicker. They fasten the bamboo to the tree at evening for the morning, and in the morning for the evening. That palm bears a fruit, namely, the cocoanut, which is as large as the head or thereabouts. Its outside husk is green and thicker than two fingers. Certain filaments are found in that husk, whence is made cord for binding together their boats. Under that husk there is a hard shell, much thicker than the shell of the walnut, which they burn and make therefrom a powder that is useful to them. Under that shell there is a white marrowy substance one finger in thickness, which they eat fresh with meat and fish as we do bread; and it has a taste resembling the almond. It could be dried and made into bread. There is a clear, sweet water in the middle of that marrowy substance which is very refreshing. When that water stands for a while after having been collected, it congeals and becomes like an apple. When the natives wish to make oil, they take that cocoanut, and allow the marrowy substance and the water to putrefy. Then they boil it and it becomes oil like butter. When they wish to make vinegar, they allow only the water to putrefy, and then place it in the sun, and a vinegar results like [that made from] white wine. From the said fruit milk can also be made, as we proved by experience. For we scraped that marrow, then mixed it with its own water, and being passed through a cloth it became like goat's milk. This kind of palm tree is like the palm that bears dates, but not so knotty. 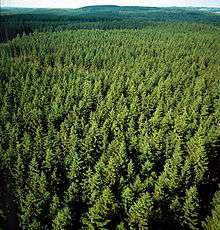 And of these trees will sustain a family of ten persons. But they do not draw the aforesaid wine always from one tree, but take it for a week from one, and so with the other, for otherwise the trees would dry up. And in this way they last one hundred years. It is evident that the name 'coco' and 'coconut' came from these 1521 encounters with Pacific islanders, and not from the other regions where it was found as no name is similar in any of the languages of India, where the Portuguese first found the fruit; and indeed Barbosa, Barros, and Garcia, in mentioning the Tamil/Malayalam name tenga, and Canarese narle, expressly say, "we call these fruits quoquos", "our people have given it the name of coco", and "that which we call coco, and the Malabars temga". Other stories to explain the origin of the word have been published. 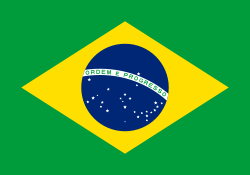 The OED states: "Portuguese and Spanish authors of the 16th c. agree in identifying the word with Portuguese and Spanish coco "grinning face, grin, grimace", also "bugbear, scarecrow", cognate with cocar "to grin, make a grimace"; the name being said to refer to the face-like appearance of the base of the shell, with its three holes. According to Losada, the name came from Portuguese explorers, the sailors of Vasco da Gama in India, who first brought them to Europe. The coconut shell reminded them of a ghost or witch in Portuguese folklore called coco (also côca). Fossil Cocos zeylanica from the Miocene of New Zealand, 4 cm long. The origin of the plant is, after many decades, still the subject of debate. It has generally been accepted that the coconut originated in the Indian-Indonesia region and float-distributed itself around the world by riding ocean currents. Most of these claims are vigorously disputed. O.F. 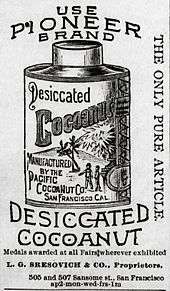 Cook was one of the earliest modern researchers to draw conclusions about the location of origin of Cocos nucifera based on its current-day worldwide distribution. He hypothesized that the coconut originated in the Americas, based on his belief that American coconut populations predated European contact and because he considered pan-tropical distribution by ocean currents improbable. Thor Heyerdahl later used this as one part of his hypothesis to support his theory that the Pacific Islanders originated as two migration streams from the Canadian Pacific coast (themselves recent migrants from Asia) to Hawaii, and on to Tahiti and New Zealand in a series of hops, and another migration from South America via sailing balsa-wood rafts. However, the conventional scientific opinion supports an Indo-Pacific origin either around Melanesia and Malesia or the Indian Ocean. The modern coconut has two different species, essentially a Pacific version and an Atlantic one; however, all modern coconuts appear to be domesticated plants, rather than the more primitive forms found in fossils in North Australia and Indonesia. The oldest fossils known of the modern coconut dating from the Eocene period from around 37 to 55 million years ago were found in Australia and India, but older palm fossils such as some of nipa fruit have been found in the Americas. A species with strawberry-sized nuts (Cocos zeylanica) lived in New Zealand in the Miocene. Since 1978, the work on tracing the probable origin and dispersal of Cocos nucifera has only recently been augmented by a publication on the germination rate of the coconut seednut  and another on the importance of the coral atoll ecosystem. Briefly, the coconut originated in the coral atoll ecosystem — without human intervention — and required a thick husk and slow germination to survive and disperse. Coconuts could not reach inland locations without human intervention (to carry seednuts, plant seedlings, etc.) and early germination on the palm (vivipary) was important, rather than increasing the number or size of the edible parts of a fruit that was already large enough. Human cultivation of the coconut selected, not for larger size, but for thinner husks and increased volume of endosperm, the solid “meat” or liquid “water” that provides the fruit its food value. Although these modifications for domestication would reduce the fruit’s ability to float, this ability would be irrelevant to a cultivated population. Among modern C. nucifera, two major types or variants occur: a thick-husked, angular fruit and a thin-husked, spherical fruit with a higher proportion of endosperm reflect a trend of cultivation in C. nucifera. The first coconuts were of the niu kafa type, with thick husks to protect the seed, an angular, highly ridged shape to promote buoyancy during ocean dispersal, and a pointed base that allowed fruits to dig into the sand, preventing them from being washed away during germination on a new island. As early human communities began to harvest coconuts for eating and planting, they (perhaps unintentionally) selected for a larger endosperm to husk ratio and a broader, spherical base, which rendered the fruit useful as a cup or bowl, thus creating the niu vai type. 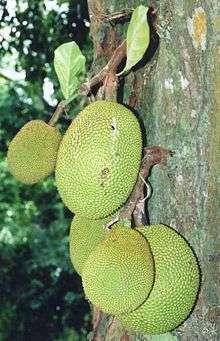 The decreased buoyancy and increased fragility of this spherical, thin-husked fruit would not matter for a species that had started to be dispersed by humans and grown in plantations. Harries’ adoption of the Polynesian terms niu kafa and niu vai has now passed into general scientific discourse, and his hypothesis is generally accepted. Variants of C. nucifera are also categorized as tall (var. typica) or dwarf (var. nana). The two groups are genetically distinct, with the dwarf variety showing a greater degree of artificial selection for ornamental traits and for early germination and fruiting. The tall variety is outcrossing while dwarf palms are incrossing, which has led to a much greater degree of genetic diversity within the tall group. The dwarf subgroup is thought to have mutated from the tall group under human selection pressure. He also notes that several of the nuts began to germinate by the time they had been ten weeks at sea, precluding an unassisted journey of 100 days or more. However, the coconut variety Heyerdahl chose for his long sea voyage likely was of the large, fleshy, spherical niu vai type, which Harries observed to have a significantly shorter germination type and worse buoyancy than the uncultivated niu kafa type. Therefore, Heyerdahl’s observations cannot be considered conclusive when it comes to determining the independent dispersal ability of the uncultivated coconut. Drift models based on wind and ocean currents have shown that coconuts could not have drifted across the Pacific unaided. If they were naturally distributed and had been in the Pacific for a thousand years or so, then we would expect the eastern shore of Australia, with its own islands sheltered by the Great Barrier Reef, to have been thick with coconut palms: the currents were directly into, and down along this coast. 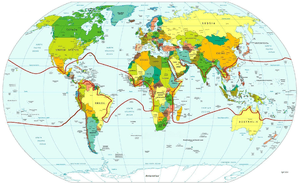 However, both James Cook and William Bligh (put adrift after the Bounty Mutiny) found no sign of the nuts along this 2000 km stretch when he needed water for his crew. Nor were there coconuts on the east side of the African coast until Vasco de Gama, nor in the Caribbean when first visited by Christopher Columbus. We know from early Spanish documents that they deliberately planted coconuts shortly after first contact, and some nuts would certainly have self-seeded when they floated ashore following ship-wrecks. They were commonly carried by Spanish ships as a source of sweet water. This provides substantial circumstantial evidence that deliberate voyagers were involved in carrying coconuts across the Pacific Ocean (possibly the Austronesian peoples) and that they could not have dispersed worldwide without human agency. More recently, genomic analysis of cultivated coconut (C. nucifera L.) has shed light on the movement. By examining 10 microsatellite loci, researchers found two genetically distinct subpopulations of coconut—one originating in the Indian Ocean, the other in the Pacific Ocean. However, admixture, the transfer of genetic material, evidently occurred between the two populations. Given that coconuts are ideally suited for inter-island group ocean dispersal, obviously some natural distribution did take place. However, this should not be extrapolated to claims that one ocean's sub-genera possibly could have floated to interbreed with the other. However, the locations of the admixture events are limited to Madagascar and coastal east Africa, and exclude the Seychelles. This pattern coincides with the known trade routes of Austronesian sailors. Additionally, a genetically distinct subpopulation of coconut on the Pacific coast of Latin America has undergone a genetic bottleneck resulting from a founder effect; however, its ancestral population is the Pacific coconut. This, together with their use of the South American sweet potato, suggests that Austronesian peoples may have sailed as far east as the Americas. The coconut has spread across much of the tropics, probably aided in many cases by seafaring people. Coconut fruit in the wild are light, buoyant, and highly water resistant. It is claimed that they evolved to disperse significant distances via marine currents. However, it can also be argued that the placement of the vulnerable eye of the nut (down when floating), and the site of the coir 'cushion' are better positioned to ensure that the water-filled nut doesn't fracture when dropping on rocky ground, rather than for floatation. Specimens have been collected from the sea as far north as Norway (but it is not known where they entered the water). In the Hawaiian Islands, the coconut is regarded as a Polynesian introduction, first brought to the islands by early Polynesian voyagers from their homelands in Oceania. They have been found in the Caribbean and the Atlantic coasts of Africa and South America for less than 500 years (the Caribbean native inhabitants don't have a dialect term for them, but use the Portuguese name), but evidence of their presence on the Pacific coast of South America antedates Christopher Columbus's arrival in the Americas. They are now almost ubiquitous between 26°N and 26°S except for the interiors of Africa and South America. The coconut palm thrives on sandy soils and is highly tolerant of salinity. It prefers areas with abundant sunlight and regular rainfall (1500 mm to 2500 mm annually), which makes colonizing shorelines of the tropics relatively straightforward. Coconuts also need high humidity (70–80%+) for optimum growth, which is why they are rarely seen in areas with low humidity. However, they can be found in humid areas with low annual precipitation such as in Karachi, Pakistan, which receives only about 250 mm (9.8 in) of rainfall per year, but is consistently warm and humid. Coconuts are susceptible to the phytoplasma disease lethal yellowing. One recently selected cultivar, the 'Maypan', has been bred for resistance to this disease. The coconut palm is damaged by the larvae of many Lepidoptera (butterfly and moth) species which feed on it, including Batrachedra spp. : B. arenosella, B. atriloqua (feeds exclusively on C. nucifera), B. mathesoni (feeds exclusively on C. nucifera), and B. nuciferae. Brontispa longissima (coconut leaf beetle) feeds on young leaves, and damages both seedlings and mature coconut palms. In 2007, the Philippines imposed a quarantine in Metro Manila and 26 provinces to stop the spread of the pest and protect the $800 million Philippine coconut industry. In Kerala (India), the main coconut pests are the coconut mite, the rhinoceros beetle, the red palm weevil, and the coconut leaf caterpillar. Research into countermeasures to these pests has as of 2009 yielded no results; researchers from the Kerala Agricultural University and the Central Plantation Crop Research Institute, Kasaragode, continue to work on countermeasures. The Krishi Vigyan Kendra, Kannur under Kerala Agricultural University has developed an innovative extension approach called the compact area group approach to combat coconut mites. Coconut palms are grown in more than 90 countries of the world, with a total production of 61 million tonnes per year (table). Most of the world production is in tropical Asia, with Indonesia, the Philippines, and India accounting collectively for 73% of the world total (table). Coconut trees are hard to establish in dry climates, and cannot grow there without frequent irrigation; in drought conditions, the new leaves do not open well, and older leaves may become desiccated; fruit also tends to be shed. Traditional areas of coconut cultivation in India are the states of Kerala, Tamil Nadu, Karnataka, Puducherry, Andhra Pradesh, Goa, Maharashtra, Odisha, and West Bengal and the islands of Lakshadweep and Andaman and Nicobar. As per 2014-15 statistics from Coconut Development Board of Government of India, four southern states combined account for almost 90% of the total production in the country: Tamil Nadu (33.84%), Karnataka (25.15%), Kerala (23.96%), and Andhra Pradesh (7.16%). Other states, such as Goa, Maharashtra, Odisha, West Bengal, and those in the northeast (Tripura and Assam) account for the remaining productions. Though Kerala has the largest number of coconut trees, in terms of production per hectare, Tamil Nadu leads all other states. In Tamil Nadu, Coimbatore and Tirupur regions top the production list. 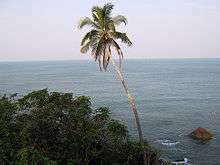 In Goa, the coconut tree has been reclassified by the government as a palm (like a grass), enabling farmers and real estate developers to clear land with fewer restrictions. The main coconut-producing area in the Middle East is the Dhofar region of Oman, but they can be grown all along the Persian Gulf, Arabian Sea, and Red Sea coasts, because these seas are tropical and provide enough humidity (through seawater evaporation) for coconut trees to grow. The young coconut plants need to be nursed and irrigated with drip pipes until they are old enough (stem bulb development) to be irrigated with brackish water or seawater alone, after which they can be replanted on the beaches. 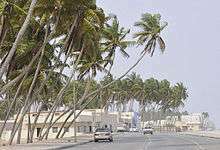 In particular, the area around Salalah maintains large coconut plantations similar to those found across the Arabian Sea in Kerala. The reasons why coconut are cultivated only in Yemen's Al Mahrah and Hadramaut governorates and in the Sultanate of Oman, but not in other suitable areas in the Arabian Peninsula, may originate from the fact that Oman and Hadramaut had long dhow trade relations with Burma, Malaysia, Indonesia, East Africa, and Zanzibar, as well as southern India and China. Omani people needed the coir rope from the coconut fiber to stitch together their traditional high seas-going dhow vessels in which nails were never used. The 'know how' of coconut cultivation and necessary soil fixation and irrigation may have found its way into Omani, Hadrami and Al-Mahra culture by people who returned from those overseas areas. Coconut trees also are increasingly grown for decorative purposes along the coasts of the UAE and Saudi Arabia with the help of irrigation. The UAE has, however, imposed strict laws on mature coconut tree imports from other countries to reduce the spread of pests to other native palm trees, as the mixing of date and coconut trees poses a risk of cross-species palm pests, such as rhinoceros beetles and red palm weevils. The artificial landscaping adopted in Florida may have been the cause for lethal yellowing, a viral coconut palm disease that leads to the death of the tree. It is spread by host insects, that thrive on heavy turf grasses. Therefore, heavy turf grass environments (beach resorts and golf courses) also pose a major threat to local coconut trees. Traditionally, dessert banana plants and local wild beach flora such as Scaevola taccada and Ipomoea pes-caprae were used as humidity-supplying green undergrowth for coconut trees, mixed with sea almond and sea hibiscus. Due to growing sedentary lifestyles and heavy-handed landscaping, a decline in these traditional farming and soil-fixing techniques has occurred. An early mention of the planting of coconuts is found in the Mahavamsa during the reign of Agrabodhi II around 589 AD. Coconuts are common in the Sri Lankan diet and the main source of dietary fat. In Florida, coconut palms grow from coastal Pinellas County and Clearwater southwards on Florida's west coast, and Melbourne southwards on Florida's east coast as well as inland south Florida. The occasional coconut palm can also be found further inland of the coastal areas of central Florida in favored microclimates in Tampa and to a lesser extent Orlando. They reach fruiting maturity, but can be damaged or killed by the occasional winter freezes in these areas. In South Texas, they may also be grown in favored microclimates around the coastal areas of the Rio Grande Valley near Brownsville, but more severe cold stunts their growth and keeps them from producing viable fruit. Coconut palms do not grow in California because of extended periods below 10 °C (50 °F) in the winter. One specimen survived for about 20 years in Newport Beach, California however died in 2014, it never produced a coconut. In the winter, the growth rate of coconut trees declines due to cooler temperatures and people have commonly attributed this to the reduced yield of coconuts in comparison to tropical regions. However, whilst cooler winter temperatures may be a factor in reducing fruit production, the primary reason for the reduced yield is a lack of water. Bermuda's soil is generally very shallow (1.5 to 3.0 feet) and much of a coconut tree's root mass is found in the porous limestone underneath the soil. Due to the porosity of the limestone, Bermuda's coconut trees do not generally have a sufficient supply of water with which they are able to support a large number of fruit as rain water quickly drains down through the limestone layer to the water table which is far too deep for a coconut's roots to reach. This typically leads to a reduction in fruit yield (sometimes as few as one or two mature fruits), as well as a reduced milk content inside the coconut that often causes the fruit to be infertile. Conversely, trees growing in close proximity to the sea almost universally yield much more fruit, as they are able to tap directly into the sea water which permeates the limestone in such areas. Not only do these trees produce a significantly higher yield, but also the fruit itself tends to be far more fertile due to the higher milk content. Trees found growing in Bermuda's marshy inland areas enjoy a similar degree of success, as they are also able to tap directly into a constant supply of water. As a tropical plant, coconut palms cannot grow in mainland Europe, but ornamental coconuts are found in Funchal (Madeira, Portugal) at 32°N. North of this latitude, coconuts are unable to survive unless given special care, such as in a greenhouse. Coconut trees are used for landscaping along a coastal road in Kota Kinabalu, Sabah, Malaysia. The various parts of the coconut have a number of culinary uses. The seed provides oil for frying, cooking, and making margarine. The white, fleshy part of the seed, the coconut meat, is used fresh or dried in cooking, especially in confections and desserts such as macaroons. Desiccated coconut or coconut milk made from it is frequently added to curries and other savory dishes. Coconut flour has also been developed for use in baking, to combat malnutrition. Coconut chips have been sold in the tourist regions of Hawaii and the Caribbean. Coconut butter is often used to describe solidified coconut oil, but has also been adopted as a name by certain specialty products made of coconut milk solids or puréed coconut meat and oil. Dried coconut is also used as the filling for many chocolate bars. Some dried coconut is purely coconut, but others are manufactured with other ingredients, such as sugar, propylene glycol, salt, and sodium metabisulfite. Some countries in Southeast Asia use special coconut mutant called Kopyor (in Indonesian) or macapuno (in Philippines) as dessert drinks. Per 100-gram serving with 354 calories, raw coconut meat supplies a high amount of total fat (33 grams), especially saturated fat (89% of total fat) and carbohydrates (24 g) (table). Micronutrients in significant content include the dietary minerals manganese, iron, phosphorus, and zinc. 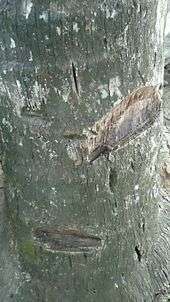 The sap can be reduced by boiling to create a sweet syrup or candy such as te kamamai in Kiribati or dhiyaa hakuru and addu bondi in the Maldives. It can be reduced further to yield coconut sugar also referred to as palm sugar or jaggery. A young, well-maintained tree can produce around 300 l (66 imp gal; 79 US gal) of toddy per year, while a 40-year-old tree may yield around 400 l (88 imp gal; 110 US gal). Apical buds of adult plants are edible, and are known as "palm cabbage" or heart of palm. They are considered a rare delicacy, as harvesting the buds kills the palms. Hearts of palm are eaten in salads, sometimes called "millionaire's salad". Newly germinated coconuts contain an edible fluff of marshmallow-like consistency called coconut sprout, produced as the endosperm nourishes the developing embryo. Coconut is an indispensable ingredient in Indonesian cooking. Coconut meat, coconut milk, and coconut water are often used in main courses, desserts, and soups throughout the archipelago. In the island of Sumatra, the famous rendang, the traditional beef stew from West Sumatra, chunks of beef are cooked in coconut milk along with other spices for hours until thickened. In Jakarta, soto babat or beef tripe soup also uses coconut milk. In the island of Java, the sweet and savoury tempe bacem is made by cooking tempeh with coconut water, coconut sugar, and other spices until thickened. Klapertart is the famous Dutch-influenced dessert from Manado, North Celebes, that uses young coconut meat and coconut milk. In 2010, Indonesia increased its coconut production. It is now the world's largest producer of coconuts. The gross production was 15 million tonnes. A sprouting coconut seed is the logo for Gerakan Pramuka Indonesia, the Indonesian scouting organization. It can be seen on all the scouting paraphernalia that elementary (SMA) school children wear, as well as on the scouting pins and flags. The Philippines is the world's second-largest producer of coconuts; the production of coconuts plays an important role in the economy. Coconuts in the Philippines are usually used in making main dishes, refreshments, and desserts. Coconut juice is also a popular drink in the country. In the Philippines, particularly Cebu, rice is wrapped in coconut leaves for cooking and subsequent storage; these packets are called puso. Coconut milk, known as gata, and grated coconut flakes are used in the preparation of dishes such as laing, ginataan, bibingka, ube halaya, pitsi-pitsi, palitaw, buko, and coconut pie. Coconut jam is made by mixing muscovado sugar with coconut milk. 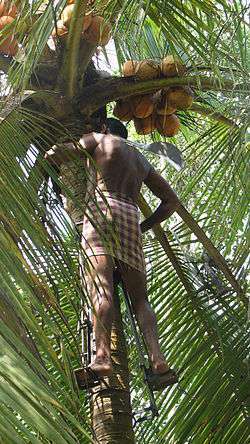 Coconut sport fruits are also harvested. One such variety of coconut is known as macapuno. Its meat is sweetened, cut into strands, and sold in glass jars as coconut strings, sometimes labeled as "gelatinous mutant coconut". Coconut water can be fermented to make a different product—nata de coco (coconut gel). In southern India, the most common way of cooking vegetables is to add grated coconut and then steam them with spices fried in oil. People from southern India also make chutney, which involves grinding the coconut with salt, chillies, and whole spices. Uruttu chammanthi (granulated chutney) is eaten with rice or kanji (rice gruel). It is also invariably the main side dish served with idli, vadai, and dosai. Coconut ground with spices is also mixed in sambar and other various lunch dishes for extra taste. Dishes garnished with grated coconut are generally referred to as poduthol in North Malabar and thoran in rest of Kerala. Puttu is a culinary delicacy of Kerala and Tamil Nadu, in which layers of coconut alternate with layers of powdered rice, all of which fit into a bamboo stalk. Recently, this has been replaced with a steel or aluminium tube, which is then steamed over a pot. Coconut (Tamil: தேங்காய்) is regularly broken in the middle-class families in Tamil Nadu for food. Coconut meat can be eaten as a snack sweetened with jaggery or molasses. In Karnataka, sweets are prepared using coconut and dry coconut copra, such as kaie obattu, kobri mitai, etc. 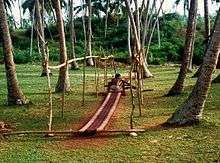 Coir (the fiber from the husk of the coconut) is used in ropes, mats, door mats, brushes, and sacks, as caulking for boats, and as stuffing fiber for mattresses. It is used in horticulture in potting compost, especially in orchid mix. The stiff mid-ribs of coconut leaves are used for making brooms in India, Indonesia (sapu lidi), Malaysia, the Maldives, and the Philippines (walis tingting). The green of the leaves (lamina) are stripped away, leaving the veins (wood-like, thin, long strips) which are tied together to form a broom or brush. A long handle made from some other wood may be inserted into the base of the bundle and used as a two-handed broom. The leaves also provide material for baskets that can draw well water and for roofing thatch; they can be woven into mats, cooking skewers, and kindling arrows, as well. Two leaves (especially the younger, yellowish shoots) woven into a tight shell the size of the palm are filled with rice and cooked to make ketupat. Dried coconut leaves can be burned to ash, which can be harvested for lime. In India, the woven coconut leaves are used as pandals (temporary sheds) for marriage functions especially in the states of Kerala, Karnataka, and Tamil Nadu. 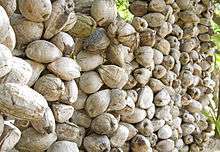 Copra is the dried meat of the seed and after processing produces coconut oil and coconut meal. Coconut oil, aside from being used in cooking as an ingredient and for frying, is used in soaps, cosmetics, hair-oil, and massage oil. Coconut oil is also a main ingredient in Ayurvedic oils. In Vanuatu, coconut palms for copra production are generally spaced 9 m apart, allowing a tree density of 100–160 trees per hectare. In Asia, coconut shells are also used as bowls and in the manufacture of various handicrafts, including buttons carved from dried shell. Coconut buttons are often used for Hawaiian aloha shirts. Tempurung, as the shell is called in the Malay language, can be used as a soup bowl and—if fixed with a handle—a ladle. In Thailand, the coconut husk is used as a potting medium to produce healthy forest tree saplings. 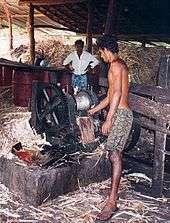 The process of husk extraction from the coir bypasses the retting process, using a custom-built coconut husk extractor designed by ASEAN–Canada Forest Tree Seed Centre in 1986. Fresh husks contains more tannin than old husks. Tannin produces negative effects on sapling growth. In parts of South India, the shell and husk are burned for smoke to repel mosquitoes. Half coconut shells are used in theatre Foley sound effects work, banged together to create the sound effect of a horse's hoofbeats. Dried half shells are used as the bodies of musical instruments, including the Chinese yehu and banhu, along with the Vietnamese đàn gáo and Arabo-Turkic rebab. In the Philippines, dried half shells are also used as a music instrument in a folk dance called maglalatik. In World War II, coastwatcher scout Biuki Gasa was the first of two from the Solomon Islands to reach the shipwrecked and wounded crew of Motor Torpedo Boat PT-109 commanded by future U.S. president John F. Kennedy. Gasa suggested, for lack of paper, delivering by dugout canoe a message inscribed on a husked coconut shell. This coconut was later kept on the president's desk, and is now in the John F. Kennedy Library. Coconuts are used in the beauty industry in moisturisers and body butters because coconut oil, due to its chemical structure, is readily absorbed by the skin. The coconut shell may also be ground down and added to products for exfoliation of dead skin. Coconut is also a source of lauric acid, which can be processed in a particular way to produce sodium lauryl sulfate, a detergent used in shower gels and shampoos. The nature of lauric acid as a fatty acid makes it particularly effective for creating detergents and surfactants. In the Ilocos region of northern Philippines, the Ilocano people fill two halved coconut shells with diket (cooked sweet rice), and place liningta nga itlog (halved boiled egg) on top of it. This ritual, known as niniyogan, is an offering made to the deceased and one's ancestors. This accompanies the palagip (prayer to the dead). A coconut (Sanskrit: nalikera) is an essential element of rituals in Hindu tradition. Often it is decorated with bright metal foils and other symbols of auspiciousness. It is offered during worship to a Hindu god or goddess. Narali Purnima is celebrated on a full moon day which usually signifies the end of monsoon season in India. The word ‘Narali’ is derived from ‘Naral’ implying ‘coconut’ in Marathi. Fishermen give an offering of coconut to the sea to celebrate the beginning of a new fishing season. Irrespective of their religious affiliations, fishermen of India often offer it to the rivers and seas in the hopes of having bountiful catches. Hindus often initiate the beginning of any new activity by breaking a coconut to ensure the blessings of the gods and successful completion of the activity. The Hindu goddess of well-being and wealth, Lakshmi, is often shown holding a coconut. In the foothills of the temple town of Palani, before going to worship Murugan for the Ganesha, coconuts are broken at a place marked for the purpose. Every day, thousands of coconuts are broken, and some devotees break as many as 108 coconuts at a time as per the prayer. In tantric practices, coconuts are sometimes used as substitutes for human skulls. The Zulu Social Aid and Pleasure Club of New Orleans traditionally throws hand-decorated coconuts, the most valuable of Mardi Gras souvenirs, to parade revelers. The "Tramps" began the tradition circa 1901. In 1987, a "coconut law" was signed by Gov. Edwards exempting from insurance liability any decorated coconut "handed" from a Zulu float. The leftover fiber from coconut oil and coconut milk production, coconut meal, is used as livestock feed. The dried calyx is used as fuel in wood-fired stoves. Coconut water is traditionally used as a growth supplement in plant tissue culture/micropropagation. The smell of coconuts comes from the 6-pentyloxan-2-one molecule, known as δ-decalactone in the food and fragrance industries. Many cultivated coconut varieties are found in Sri Lanka. Most of them were introduced by the National Coconut Research Institute; they identified these varieties during a coconut germplasm exploration mission in the Southern Province of Sri Lanka. Coconut in Sri Lanka is currently classified into 15 different forms grouped under three varieties, namely 'Typica', 'Nana', and 'Aurantiaca'. The visual morphological features of several new coconut morphotypes were characterized with the objective of including them in the taxonomic classification of coconut in Sri Lanka. ↑ J. Pearsall, ed. (1999). "Coconut". Concise Oxford Dictionary (10th ed.). Oxford: Clarendon Press. ISBN 0-19-860287-1. ↑ Dalgado, Sebastião. "Glossário luso-asiático". google.com. p. 291. 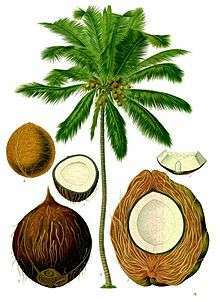 ↑ "Cocos nucifera L. (Source: James A. Duke. 1983. Handbook of Energy Crops; unpublished)". Purdue University, NewCROP - New Crop Resource. 1983. Retrieved 4 June 2015. 1 2 Paniappan S (December 12, 2002). "The Mystery Behind Coconut Water". The Hindu. Retrieved January 16, 2012. ↑ Patil, Vimla. "Coconut - Fruit Of Lustre In Indian Culture". eSamskriti. Retrieved 18 May 2016. 1 2 Grimwood BE, Ashman F (1975). Coconut Palm Products: Their Processing in Developing Countries. United Nations, Food and Agriculture Organization. p. 1. ↑ Coconut, Plant of Many Uses. From UCLA course on Economic Botany. 1 2 Thampan, P.K. (1981). Handbook on Coconut Palm. Oxford & IBH Publishing Co.
↑ Willmer, Pat. (2011). Pollination and Floral Ecology. Princeton University Press. p. 57. ISBN 978-0-691-12861-0. ↑ "The Fifth Voyage of Sindbad the Seaman – The Arabian Nights – The Thousand and One Nights – Sir Richard Burton translator". Classiclit.about.com. November 2, 2009. Retrieved February 14, 2012. 1 2 3 Grimwood 1975, p. 1. 1 2 Elzebroek, A.T.G. and Koop Wind (Eds.). (2008). Guide to Cultivated Plants. CABI. pp. 186–192. ISBN 978-1-84593-356-2. ↑ Rosengarten, Frederic Jr. (2004). The Book of Edible Nuts. Dover Publications. pp. 65–93. ISBN 978-0-486-43499-5. 1 2 3 4 Antonio Pigafetta; translated by James Alexander Robertson (1906). Magellan's Voyage Around the World, Volume 1. Arthur H. Clark Company. pp. 64–100. ↑ Werth, E. (1933). Distribution, Origin and Cultivation of the Coconut Palm. Ber. Deutschen Bot. Ges., vol 51, pp. 301–304. (article translated into English by Dr. R. Child, Director, Coconut Research Scheme, Lunuwila, Sri Lanka). 1 2 Grimwood, Brian E., F. Ashman, D.A.V. Dendy, C.G. Jarman, E.C.S. Little, and W.H. Timmins. (1975). Coconut Palm Products – Their processing in developing countries. Rome: FAO. pp. 3–4. ISBN 978-92-5-100853-9. 1 2 3 Perera, Lalith, Suriya A.C.N. Perera, Champa K. Bandaranayake and Hugh C. Harries. (2009). "Chapter 12 – Coconut". In Johann Vollmann and Istvan Rajcan (Eds.). Oil Crops. Springer. pp. 370–372. ISBN 978-0-387-77593-7. 1 2 3 Jackson, Eric. (August 20 – September 2, 2006). From whence come coconuts?. The Panama News (Volume 12, Number 16). Retrieved April 10, 2011. ↑ Cook, O.F. (1901) The Origin and Distribution of the Cocoa Palm. Washington: Government Printing Office. 37 p.
1 2 Heyerdahl, Thor. (1950) Kon-Tiki: Across the Pacific by Raft. Mattituck: Amereon House. 240 p.
1 2 3 Harries, H. C. (1978). "The evolution, dissemination and classification of Cocos nucifera L.". The Botanical Review. 44 (3): 265–319. doi:10.1007/bf02957852. ↑ Harries, H (2012). "Germination rate is the significant characteristic determining coconut palm diversity". AoB Plants. 2012: pls045. doi:10.1093/aobpla/pls045. ↑ Harries, H.C.; Clement, C.R. (2013). "Long-distance dispersal of the coconut palm by migration within the coral atoll ecosystem". Annals of Botany. 113: 565–570. doi:10.1093/aob/mct293. ↑ Harries, H (2012). "Germination rate is the significant characteristic determining coconut palm diversity". Annals of Botany. doi:10.1093/aobpla/pls04. ↑ Lebrun, P.; Seguin, M.; Grivet, L.; Baudouin, L. (1998). "Genetic diversity in coconut (Cocos nucifera L.) revealed by restriction fragment length polymorphism (RFLP) markers". Euphytica. 101: 103–108. ↑ Shukla, A.; Mehrotra, R. C.; Guleria, J. S. (2012). "Cocos sahnii Kaul: A Cocos nucifera L.-like fruit from the Early Eocene rainforest of Rajasthan, western India". Journal of Biosciences. 37 (4): 769–776. doi:10.1007/s12038-012-9233-3. ↑ Huang, Y.-Y. ; Matzke, A. J. M.; Matzke, M. (2013). "Complete sequence and comparative analysis of the chloroplast genome of coconut palm (Cocos nucifera)". PLOS ONE. 8 (8): e74736. doi:10.1371/journal.pone.0074736. ↑ Rivera, R.; Edwards, K. J.; Barker, J. H.; Arnold, G. M.; Ayad, G.; Hodgkin, T.; Karp, A. (1999). "Isolation and characterization of polymorphic microsatellites in Cocos nucifera L". Genome / National Research Council Canada = Genome / Conseil national de recherches Canada. 42 (4): 668–675. doi:10.1139/gen-42-4-668. PMID 10464790. ↑ Edmondson, C.H. (1941). "Viability of coconut seeds after floating in sea". Bernice P. Bishop Museum Occasional Papers. 16: 293–304. 1 2 Ward, R. G.; Brookfield, M. (1992). "Special Paper: the dispersal of the coconut: did it float or was it carried to Panama?". Journal of Biogeography. 19 (5): 467–480. doi:10.2307/2845766. ↑ Wales, State Library of New South. "William Bligh's Logbook". Retrieved October 26, 2016. ↑ Gunn, Bee; Luc Baudouin; Kenneth M. Olsen (2011). "Independent Origins of Cultivated Coconut (Cocos nucifera L.) in the Old World Tropics". PLoS ONE. 6 (6): e21143. doi:10.1371/journal.pone.0021143. PMC 3120816 . PMID 21731660. Retrieved November 28, 2011. ↑ Foale, Mike. (2003). 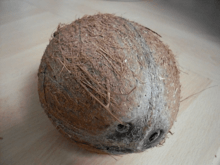 The Coconut Odyssey – the bounteous possibilities of the tree of life. Australian Centre for International Agricultural Research. Retrieved May 30, 2009. ↑ Ferguson, John. (1898). All about the "coconut palm" (Cocos nucifera) (2nd edition). 1 2 3 Chan, Edward and Craig R. Elevitch. (April 2006). Cocos nucifera (coconut) (version 2.1). In C.R. Elevitch (Ed.). Species Profiles for Pacific Island Agroforestry. Hōlualoa, Hawai‘i: Permanent Agriculture Resources (PAR). 1 2 "Coconuts, Production/Crops". Food And Agriculture Organization of the United Nations: Statistical Division (FAOSTAT). 2013. Retrieved 9 October 2016. ↑ Funny About The Business Of Monkeys Picking Coconuts?, NPR, October 19, 2015. ↑ Bertrand, Mireille. (January 27, 1967). Training without Reward: Traditional Training of Pig-tailed Macaques as Coconut Harvesters. Science 155 (3761): 484–486. ↑ Coconut Development Board; Government of India. (n.d.). "Coconut Cultivation". Retrieved December 8, 2015. 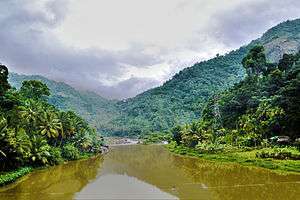 ↑ "Indian state decides coconut trees are no longer trees but palms". The Guardian. 20 January 2016. Retrieved 28 March 2016. ↑ Halsall, Paul. (Ed). (February 21, 2001). "Medieval Sourcebook: Ibn Battuta: Travels in Asia and Africa 1325–1354". Fordham University Center for Medieval Studies. Retrieved April 14, 2011. ↑ Kaunitz, H. (1986). "Medium chain triglycerides (MCT) in aging and arteriosclerosis". Journal of Environmental Pathology, Toxicology and Oncology : official organ of the International Society for Environmental Toxicology and Cancer. 6 (3–4): 115–121. PMID 3519928. ↑ "Cocos nucifera, Coconut palm". FloridaGardener.com. Florida Gardener. 12 June 2008. Retrieved 27 July 2016. ↑ "Newport Beach coconut palm finally bites the dust". Retrieved October 26, 2016. ↑ Margolis, Jason. (December 13, 2006). Coconut fuel. PRI's The World. Retrieved April 10, 2011. ↑ Grimwood 1975, p. 182. ↑ "Full Report (All Nutrients): 12117, Nuts, coconut milk, raw (liquid expressed from grated meat and water)". US Department of Agriculture, National Nutrient Database, version SR-28. 2015. ↑ Porter, Jolene V. (2005). "Lambanog: A Philippine Drink". Washington, D.C.: American University. Retrieved April 10, 2011. ↑ Grimwood 1975, p. 20. ↑ Grimwood 1975, p. 22. ↑ Grimwood 1975, p. 19. ↑ "Coconut Shell Lump Charcoal". Supreme Carbon Indonesia. ↑ "Hans van Amsterdam: Coconut Cup with Cover (17.190.622ab) - Heilbrunn Timeline of Art History - The Metropolitan Museum of Art". metmuseum.org. ↑ Somyos Kijkar. "Handbook: Coconut husk as a potting medium". ASEAN-Canada Forest Tree Seed Centre Project 1991, Muak-Lek, Saraburi, Thailand. ISBN 974-361-277-1. ↑ Herming, George. (March 6, 2006). Wagina whips offenders. Solomon Star. ↑ "Narali Purnima". Maharashtra Tourism. 2016. Retrieved 3 August 2016. ↑ "Hainuwele - Oxford Reference". oxfordreference.com. ↑ Yong, JW. Ge L. Ng YF. Tan SN. (2009). "The chemical composition and biological properties of coconut (Cocos nucifera L.) water". Molecules. 14 (12): 5144–64. doi:10.3390/molecules14125144. PMID 20032881. ↑ "Data sheet about delta-decalactone and its properties". Thegoodscentscompany.com. July 18, 2000. Retrieved February 14, 2012. ↑ Finn, Julian K.; Tregenza, Tom; Norman, Mark D. (2009). "Defensive tool use in a coconut-carrying octopus". Curr. Biol. 19 (23): R1069–R1070. doi:10.1016/j.cub.2009.10.052. PMID 20064403. 1 2 Gelineau, Kristen (December 15, 2009). "Aussie scientists find coconut-carrying octopus". Associated Press. Retrieved December 15, 2009. ↑ Harmon, Katherine (December 14, 2009). "A tool-wielding octopus? This invertebrate builds armor from coconut halves". Scientific American. ↑ Henderson, Mark (December 15, 2009). "Indonesia's veined octopus 'stilt walks' to collect coconut shells". Times Online. 1 2 Michavila Gomez A, Amat Bou M, Gonzalez Cortés MV, Segura Navas L, Moreno Palanques MA, Bartolomé B (2015). "Coconut anaphylaxis: Case report and review" (PDF). Allergol Immunopathol (Madr) (Review. Letter. Case reports.). 43 (2): 219–20. doi:10.1016/j.aller.2013.09.004. PMID 24231149. ↑ "Guidance for Industry: A Food Labeling Guide (6. Ingredient Lists); Major Food Allergens (food source names and examples)". Food Labeling and Nutrition. US Food and Drug Administration. January 2013. Retrieved 29 May 2016. 1 2 3 Jacob SE, Amini S (2008). "Cocamidopropyl betaine". Dermatitis (Review). 19 (3): 157–160. doi:10.2310/6620.2008.06043. PMID 18627690. ↑ Schnuch A, Lessmann H, Geier J, Uter W (2011). "Is cocamidopropyl betaine a contact allergen? Analysis of network data and short review of the literature". Contact Dermatitis (Review). 64 (4): 203–11. doi:10.1111/j.1600-0536.2010.01863.x. PMID 21392028. ↑ "Coconut Varieties". florida gardener. Retrieved 19 May 2016. ↑ Ekanayake, G.K.; Perera, S. A. C. N.; Dassanayake, P. N.; Everard, J. M. D. T. (2010). "Varietal Classification of New Coconut (Cocos nucifera L.) Forms Identified" (PDF). Coconut Research Institute of Sri Lanka. p. 10. Retrieved 19 May 2016. Wikimedia Commons has media related to Coconuts. Wikimedia Commons has media related to Cocos nucifera.